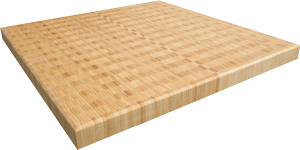 Our Kitchen Butcher Block Countertops are built in a variety of styles and thickness using your choice of single and/or multiple wood species. Our Butcher Blocks are perfect solutions for a Kitchen Island, Prep Area, Cart Top and/or stand alone. Choose from a wide array of wood species available in end and edge grains. Custom designs, thickness, profiles, radius ends and sink cutout available. 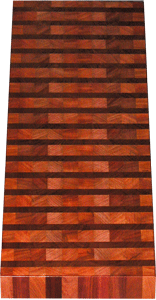 Our Butcher Block Countertops have two high quality finishes available. 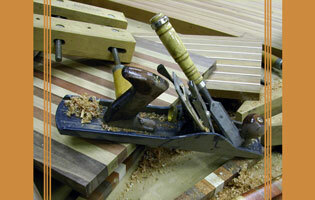 -Varnish to seal and protect. Its greatest strength is also its biggest weakness. Since it can quickly recover from scratches because of its absorbing qualities, it will absorb anything with the same ease. Follow the Butcher Block Maintenance above and you and your grand kids will enjoy this Butcher Block for years to come.